We’ve all heard that gum disease is a constant threat to our teeth and gums, and we are warned to keep up a constant practice of oral hygiene to stand against it. With all these admonishments, however, we are rarely taught precisely what causes gum disease and how our brushing, flossing, and mouthwash regimen helps to hold it back. What we are told is that failure to keep up with it can lead to serious consequences, including periodontitis and tooth loss. We’re here to put some understanding into your practice, so you’ll know the hows and whys of proper dental hygiene in holding off gum disease. Plaque and tartar buildup on our teeth through normal day to day activities. When we eat food, particles remain in our mouths, serving as the perfect source of energy and growth for bacteria on our teeth. Plaque, that sticky yellow film on our teeth, is actually a growing body of bacteria that can cause irritation to our gums and teeth. 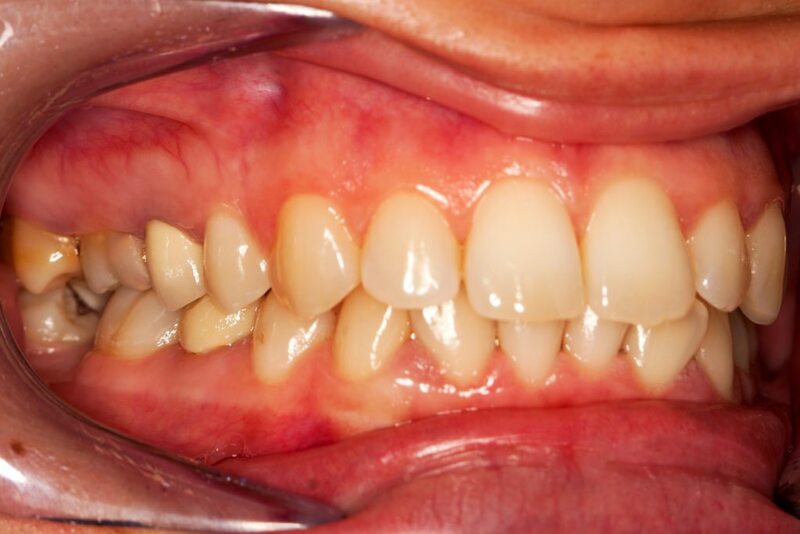 Plaque that remains on the teeth unchecked will harden into tartar, a hard substance that requires a dentist’s aid to remove, especially below the gumline. Regular oral hygiene makes a huge difference in our fight against plaque and tartar, aiding in removing plaque before it can form into tartar. Proper oral hygiene is a multi-layered attack on these damaging bacteria. Brushing – Brushing removes the plaque from the teeth through abrasion and a cleansing substance like toothpaste. Brushing gently at a 45-degree angle for two minutes will provide an effective defense against bacteria. Flossing – Unfortunately, there are places that a toothbrush just can’t reach, the spaces hidden between the teeth can’t be touched simply by brushing. That’s where flossing comes in, using this thin strip of material to get between the teeth and clean out the bacteria between the teeth and preventing decay from starting there. Mouthwash – As an oral disinfectant mouthwash helps to cleanse out the mouth as a whole, helping to kill bacteria and fight infection throughout the mouth. Even that hardest to reach places can be affected by mouthwash, making it a perfect way to round out your oral hygiene. Unfortunately, poor oral hygiene isn’t the only issue facing our teeth, some of the other causes are impossible to avoid, while others are the result of poor personal habits. Aging – As we get older our teeth tend to wear down simply from day to day use. Given the inevitable wear of time, it’s vital to maintain good oral health throughout your lives. Smoking – When you smoke you are actually damaging the health of your gums and teeth, increasing the risk of infection to your gums. Quitting smoking can go a long way towards protecting your teeth. Other health issues can also contribute to poor oral health, including diabetes and oral cancer, just to name a couple. If you’re experiencing any form of oral health issues, contact your dentist for a consultation.